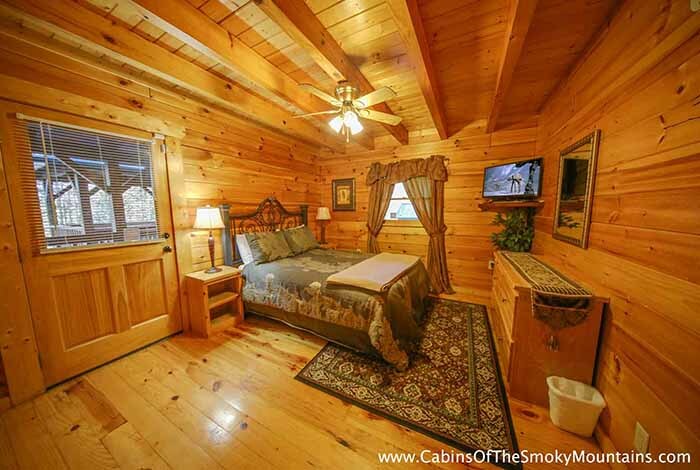 Gaze up at the stars and take in all that nature has to offer while you spend a few days in this perfect Pigeon Forge luxury cabin rental in the woods. 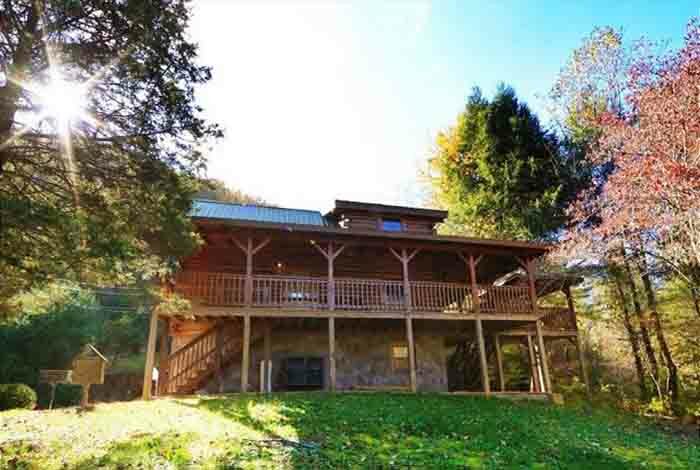 Amber Twilight is so much than your average rental property. 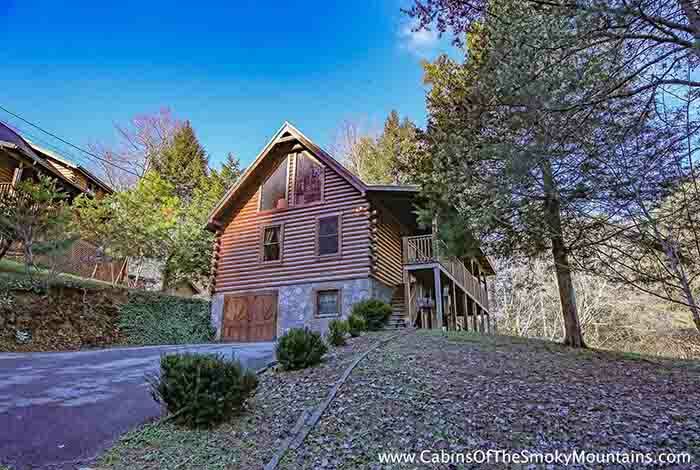 This three bedroom cabin has everything you could imagine as you plan your getaway to the Great Smoky Mountains of East Tennessee. 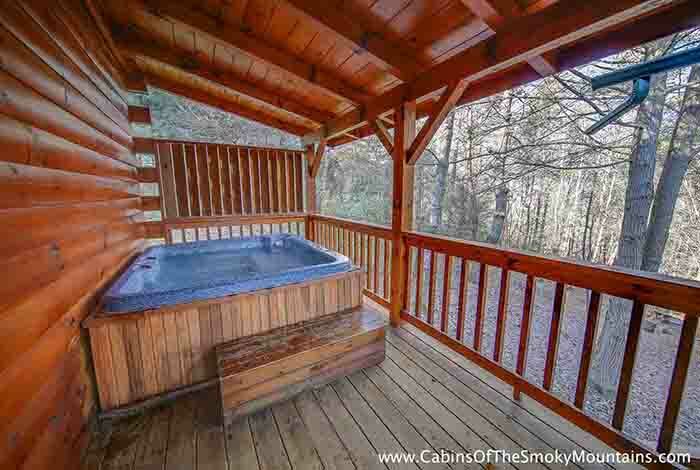 In addition to the wrap around deck there is also a separate gazebo with luxurious seating. 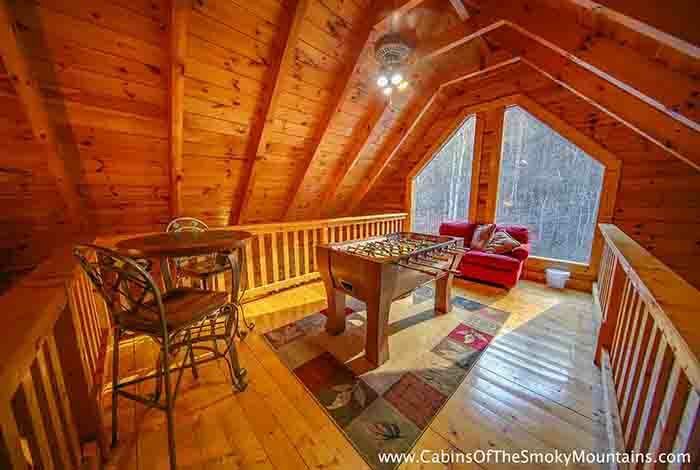 There are plenty of porches with swings and rockers to spend time just relaxing in this mountain home. 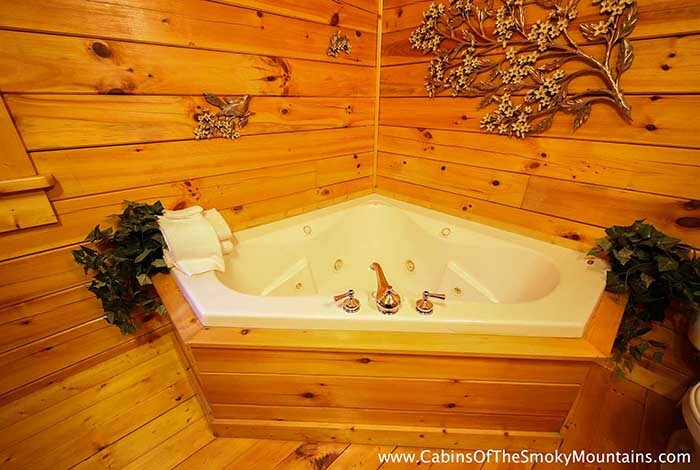 Soak in the hot tub and count stars at night with your significant other and you will create memories that will last a lifetime. 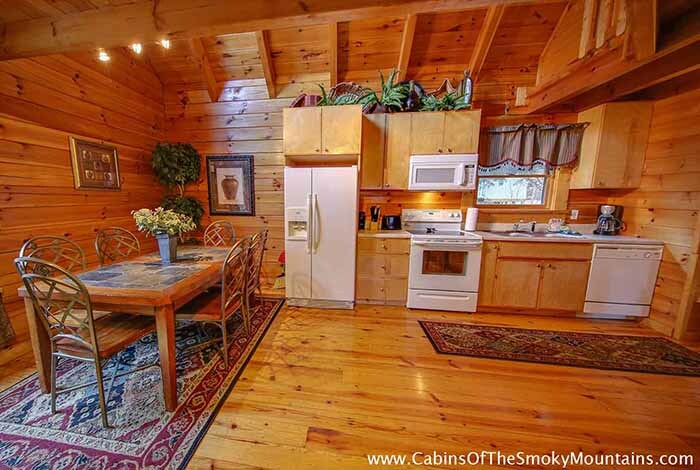 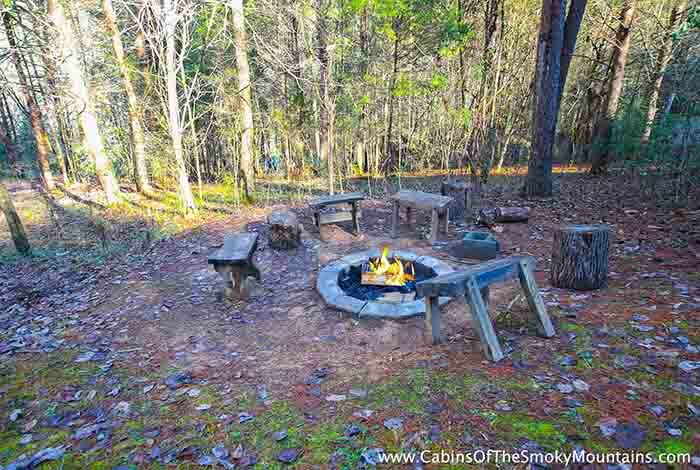 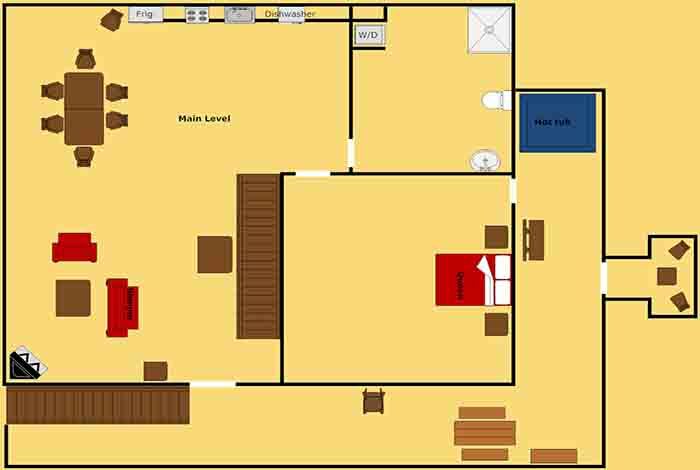 This cabin offers a fully stocked kitchen so you can prepare your favorite meal on the Weber gas grill or chose the more conventional way of cooking with the charcoal grill. 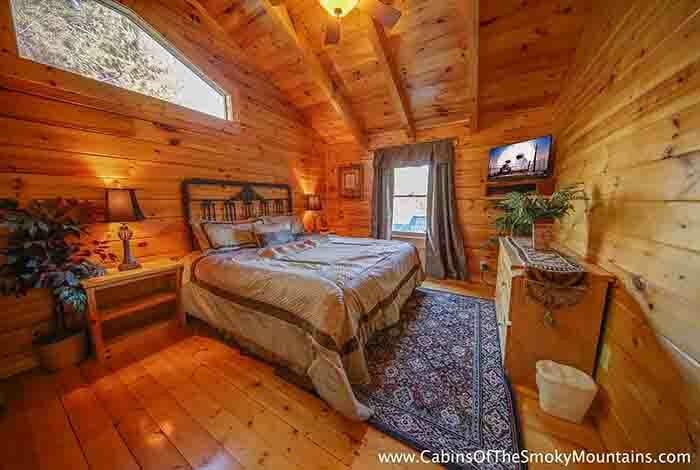 There are peaceful, cozy reading nooks to get lost in your favorite novel or take a quick catnap. 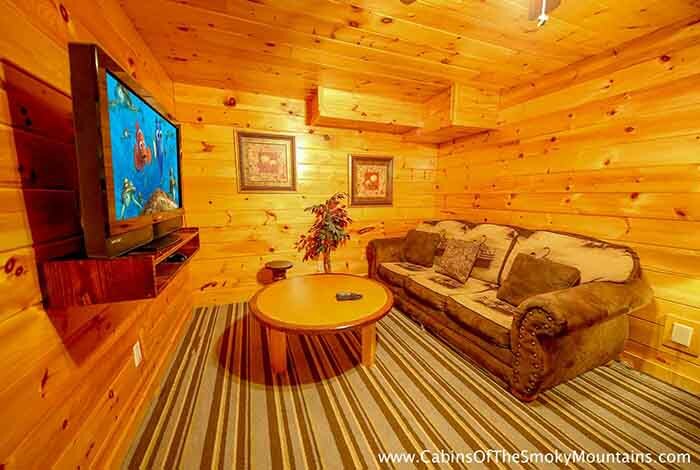 There are plenty of plasma TV’s to enjoy a movie or watch that long anticipated game everyone has been looking forward to. 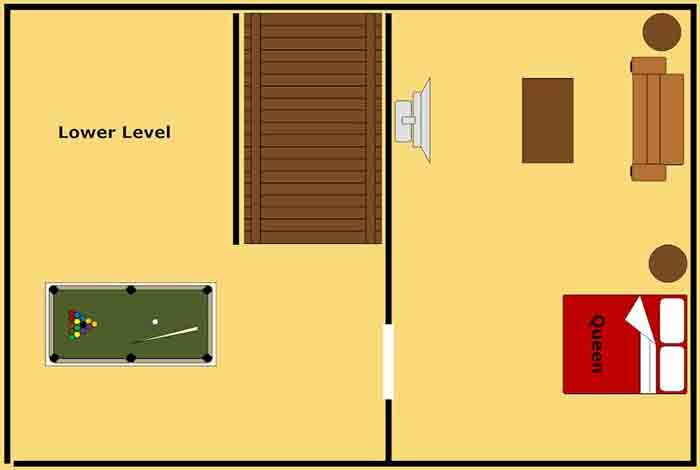 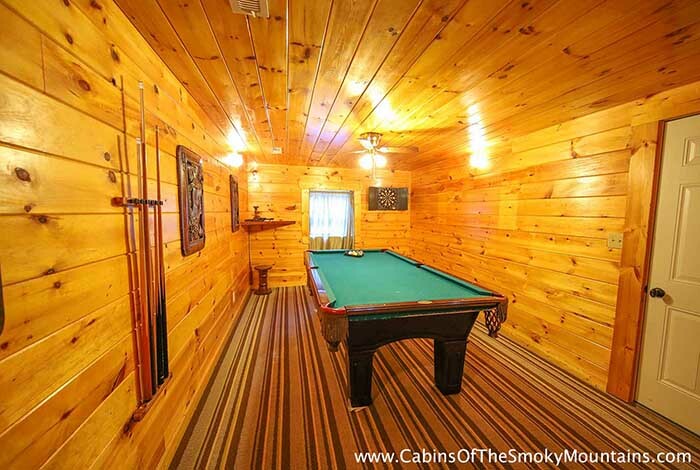 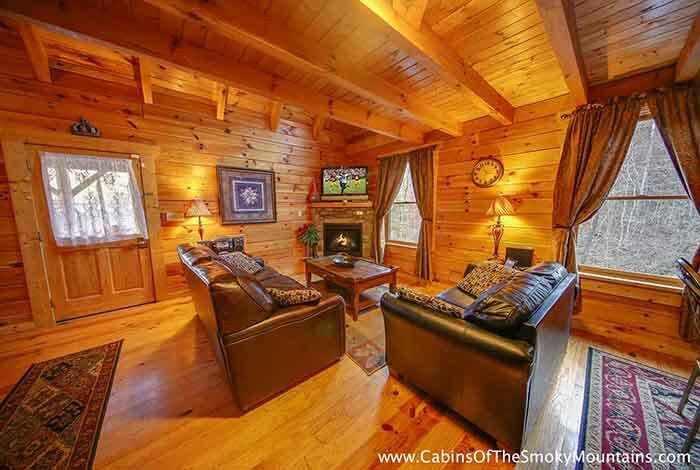 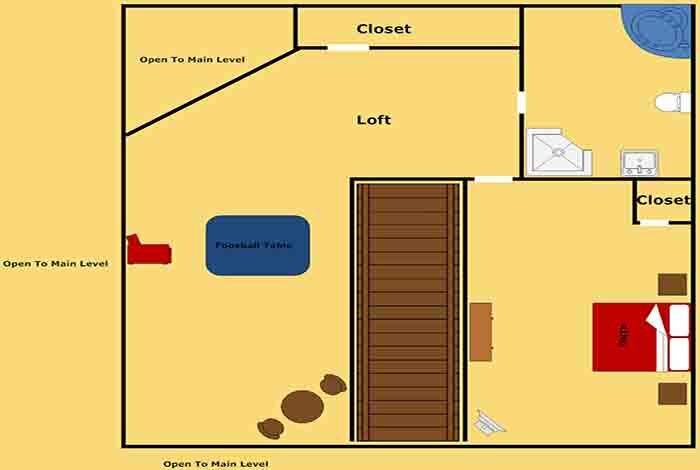 This cabin comes with ample entertainment so enjoy a game of Foosball or rack up the balls for a friendly game of pool. 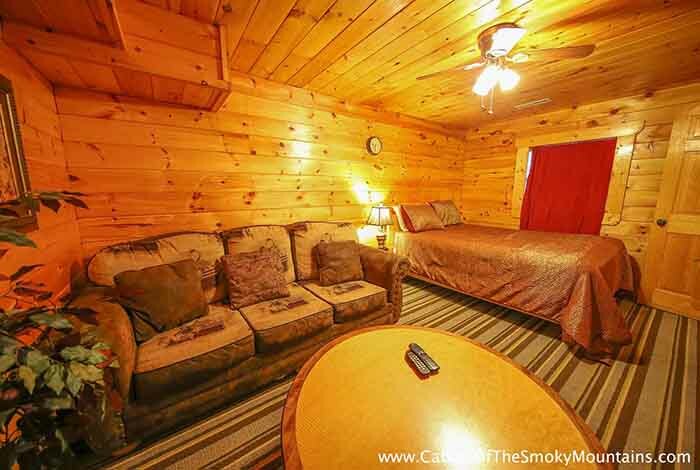 No matter how you choose to spend your time you are going to leave wishing you could stay longer so make your plans and be sure to include Amber Twilight for a relaxing time with family and friends. 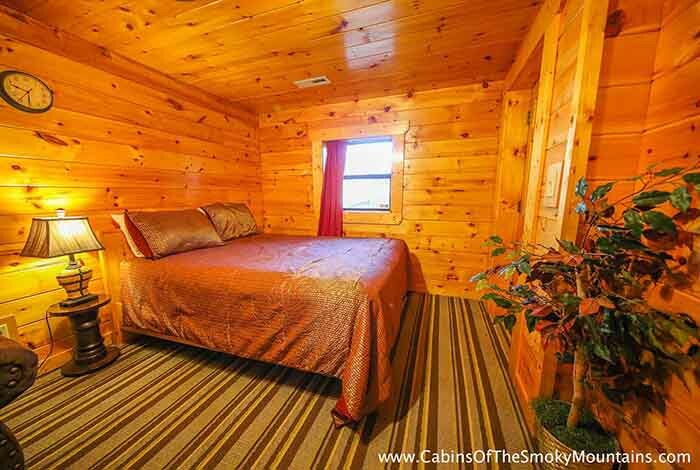 This cabin is conveniently located close to all the main attractions such as Dixie Stampede, Dollywood, Splash Country, LumberJack Feud, Wonderworks and much more.